For the Italian river kent in Laitin as Olius, see Oglio. 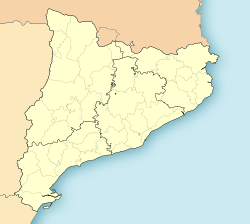 Olius is a municipality in the comarca o the Solsonès in Catalonie, Spain. It is situatit on the Cardener river abuin the reservoir o Sant Ponç. The veelage is servit bi the C-149 road atween Solsona an Berga. The kirk o Sant Esteve d'Olius is a protectit historico-airtistic monument. The municipality includes a small exclave to the south-west, surrounded by Llobera. This page wis last eeditit on 11 Mairch 2018, at 13:00.